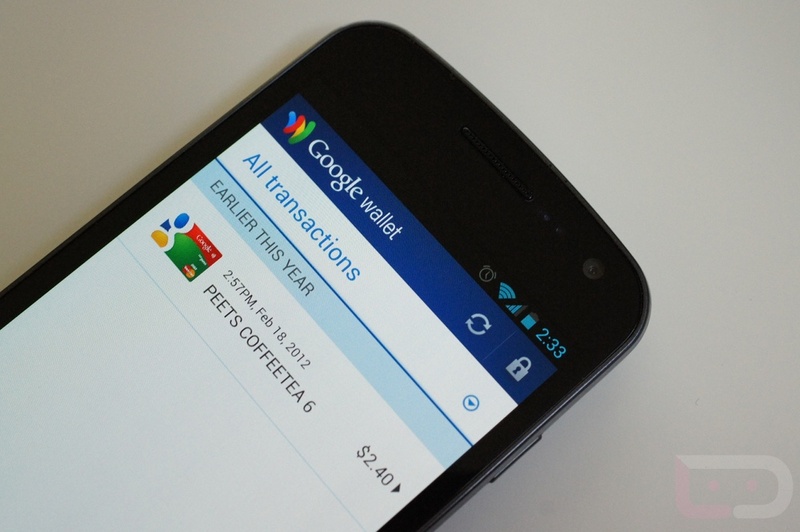 Wednesday Poll: Galaxy Nexus Owners, Have You Used Google Wallet Yet? After all of the drama that Google Wallet has gone through over the last couple of weeks (security issues and freezing of prepaid cards), we have yet to discuss usage of the app itself. With prepaid cards back for the most part and enough ways to get the app on your device even though Verizon is doing their best to prevent it, we want to know if anyone has actually used it. Since carriers have asked Google to not include it on certain devices and with only MasterCard currently along for the ride, I’m personally having trouble finding places to use it at. Even at CES in Vegas, I had made it a goal of mine to use Wallet every single time I took a cab ride. Unfortunately, the only cab with PayPass functionality was the very last cab we took to the airport and the transaction failed enough times that we tossed cash out in frustration. My first time happened to be last week as I stopped through a Peet’s Coffee here in Portland and noticed the PayPass pad. I fumbled through the transaction, expecting it to be more difficult. It wasn’t. I’m now hooked and am looking for ways and places to use it more often. NFC payments are simply put, brilliant. Have you had the chance to use it? Have You Used Google Wallet Yet?